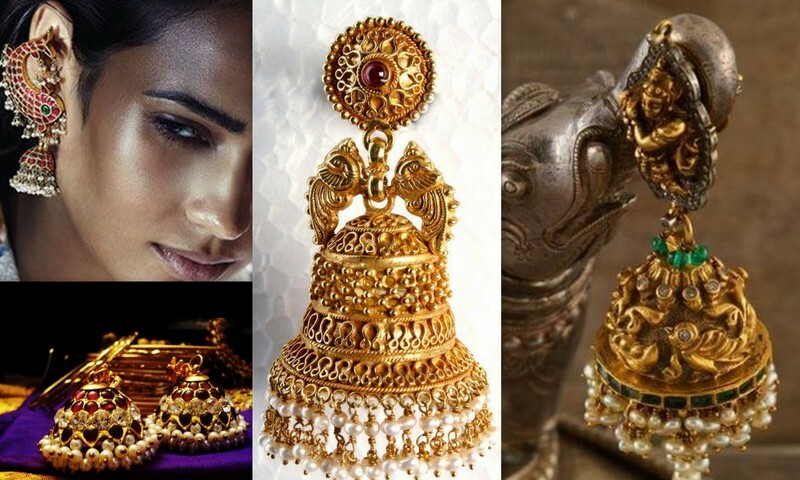 Could you believe that a lot has been written about this traditional piece of jewellery? Well, it has been a part of our history for centuries and continues to dominate the accessory shelves in our present day lives too. 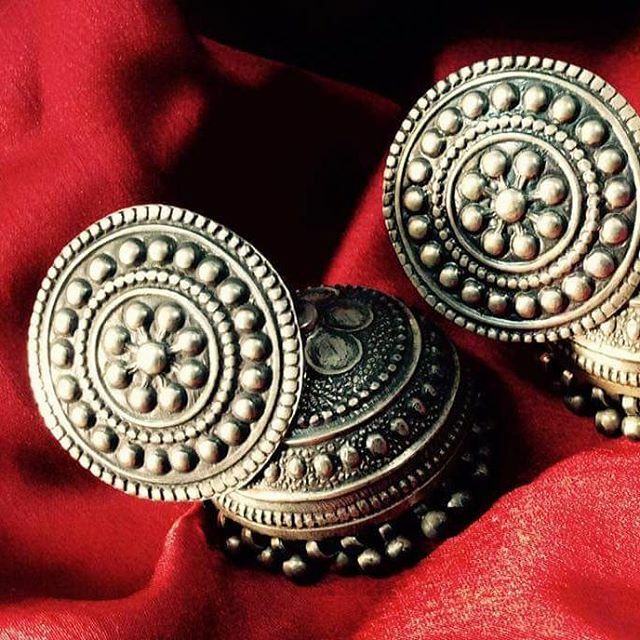 Jhumkas can be traced back to the era of the scriptures and it has a subtle romance as well as a kind of ‘royalty’ associated with it. 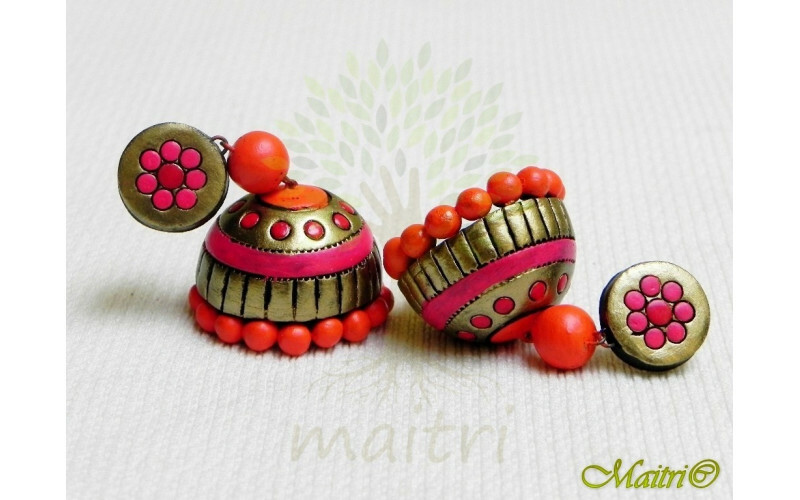 Worn across different states in India in a variety of ‘avataars’, they are now very popular outside the sub-continent too. The Indian film industry bears testimony to the timelessness of this beautiful accessory – being worn by Fearless Nadia and Devika Rani in the 1930s, Suraiya, Madhubala, Meena Kumari, Asha Parekh, Tanuja, Hema Malini, Rekha, Sridevi, Madhuri Dixit, to the 2010s Vidya Balan, Aishwarya Rai, Deepika Padukone and Sonam Kapoor. Now that is some list, isn’t it? 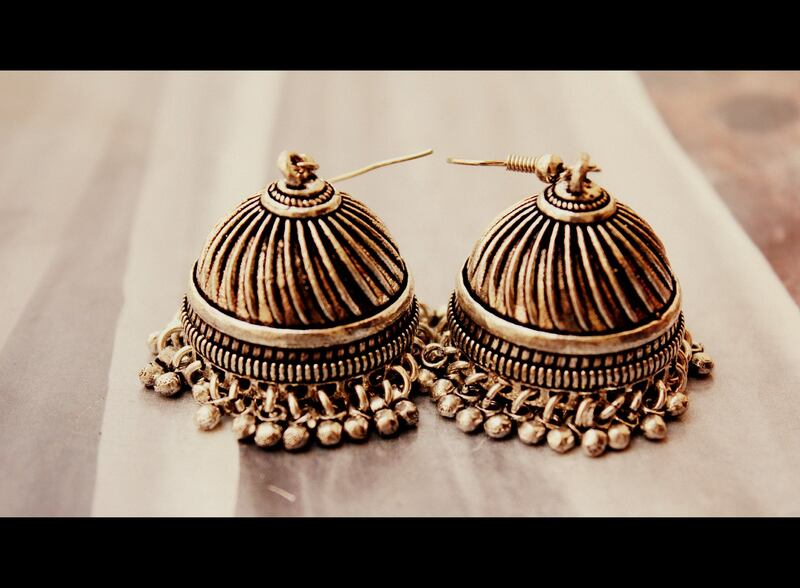 Fancy adding a bit of trivia about this jhumka to your repertoire? 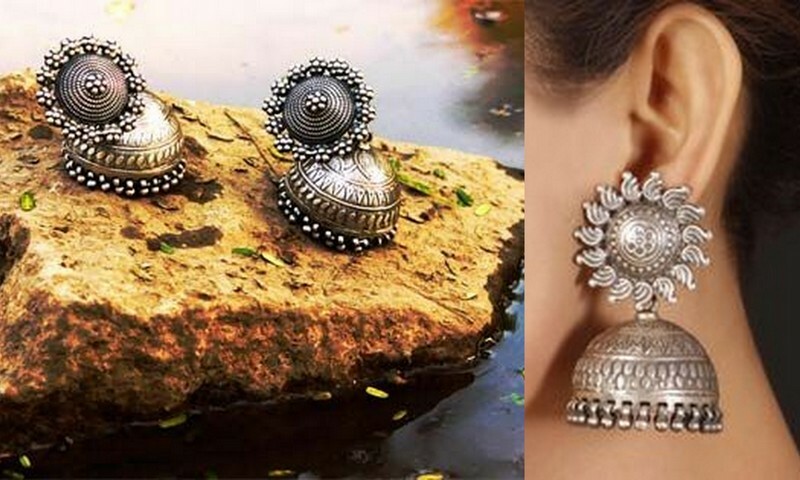 While wearing the jhumka, remember to keep the jhumkas as your only large accessory. Skip the necklace or anything else that distracts the attention away from the jhumkas otherwise you may be mistaken for a christmas tree. It’s not everyday that you get to see such a beautiful array of jhumkas under one roof, well, under one post, do you? The song that I woke up humming, got me to search the breadth and length of our country to find the best pieces of jhumkas for you. 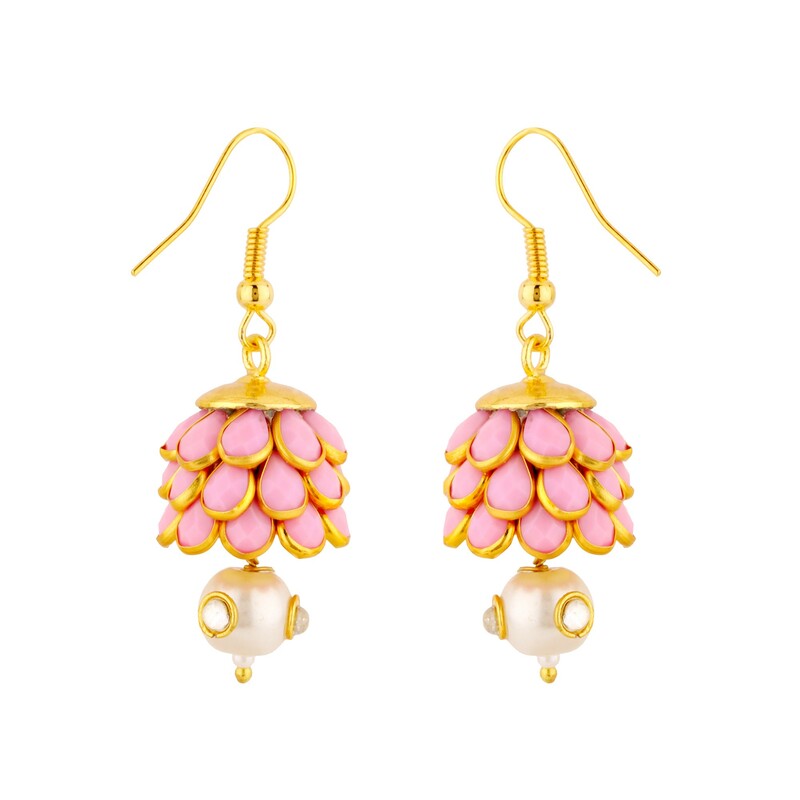 So, say a little thanks to JaipurSe, Urban Dhani, Bombay Bead, Parisera, Maitri and Just Jhumkas for bringing us this ‘awesomeness’. I can’t end this post without getting you to hum ‘jhumka gira’ number, but I am going to make your experience much better and leave you with an even older song than the one that was parked in my body all day today! Dangle away the gorgeousness. 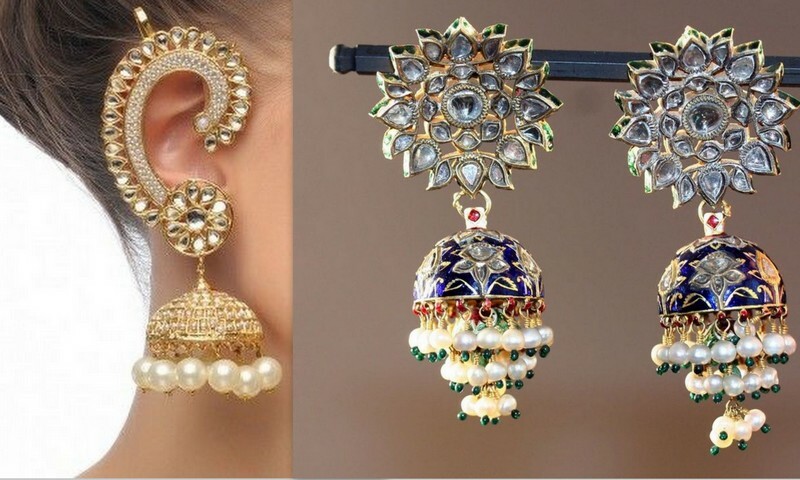 Look etheral, dressy and just perfect with ‘jhumkas’!